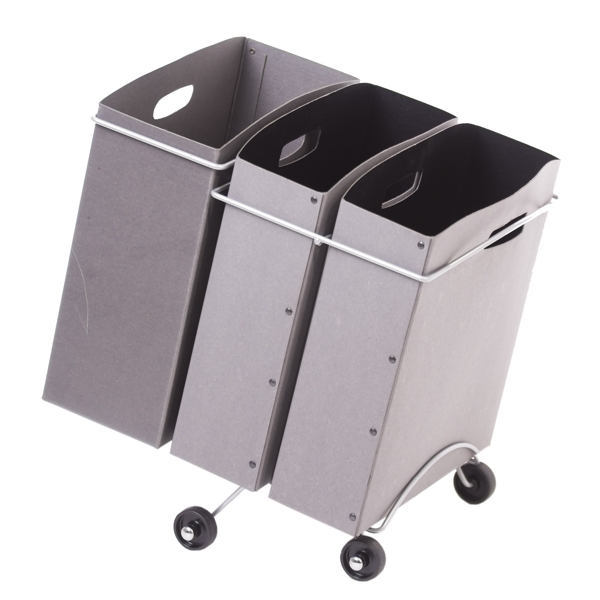 The M5 trolley product range are for waste collection. They all have a special purpose from paper, plastic and cardboard recycling to dirty laundry collection. They are durable products for offices, hospitals or production lines. They are made from metal making them robust and long lasting. 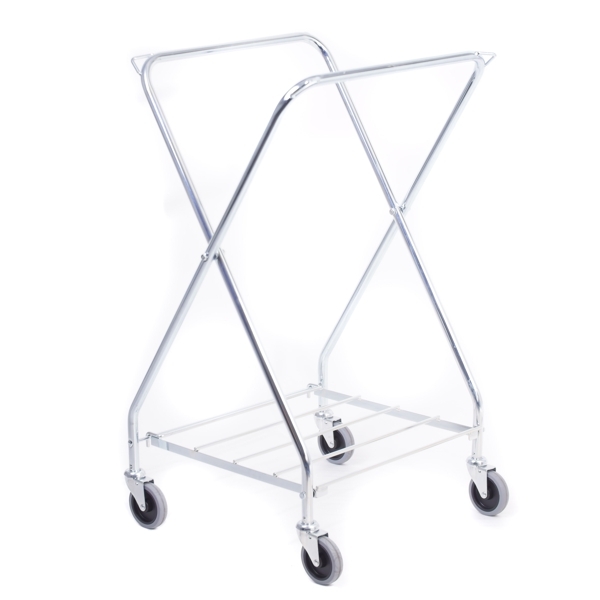 This sack trolley model is designed especially to collect plastic wrap which is used in the packing industry. It is also used to collect plastic bottles, cans and plastic shopping bags. 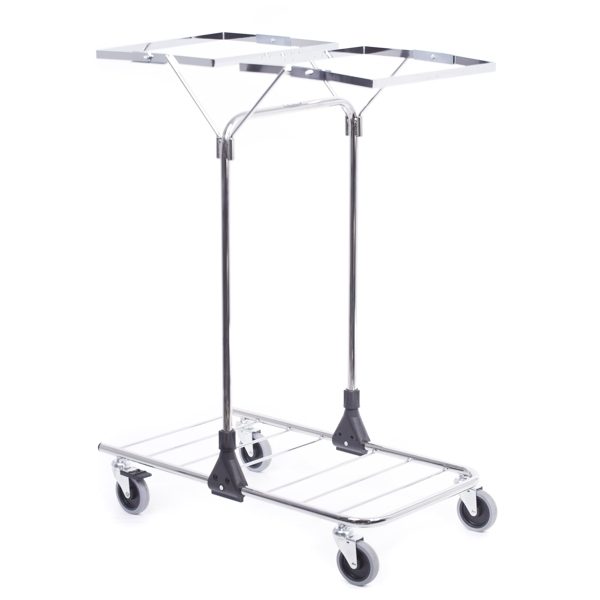 The size and shape of the trolley is made specifically for plastic bags used in the recycling industry. This is a traditional X model for 200 liter bags. 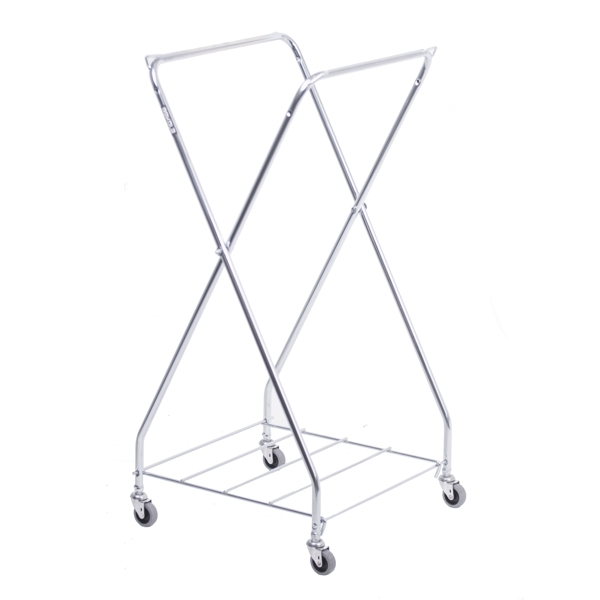 Following improvement this trolley is now stronger and bigger. 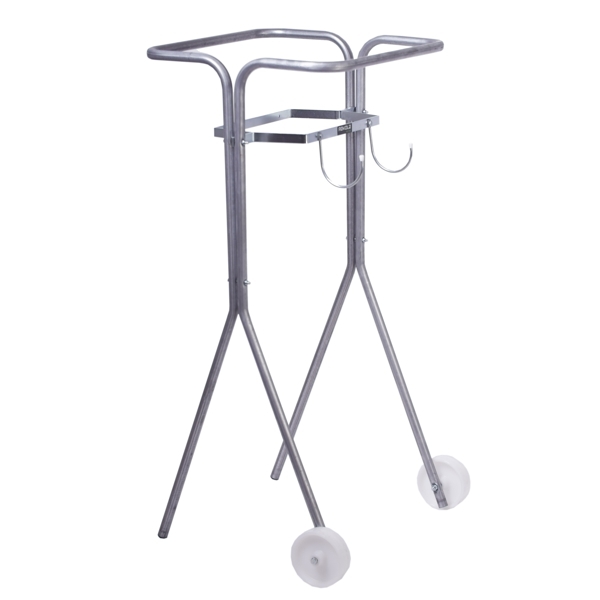 The trolley is made from 22mm tubing and strong bottom wires which makes the trolley robust and long lasting. The 4x100mm wheels make it easy to move around. There is also a canvas bag available for laundry collection in hotels. Light and easy to assemble. This model has a holder for either a 120 liter or 150 liter plastic trash bag, but our unique design holder allows 2x75 liter bags next to each other for recycling. 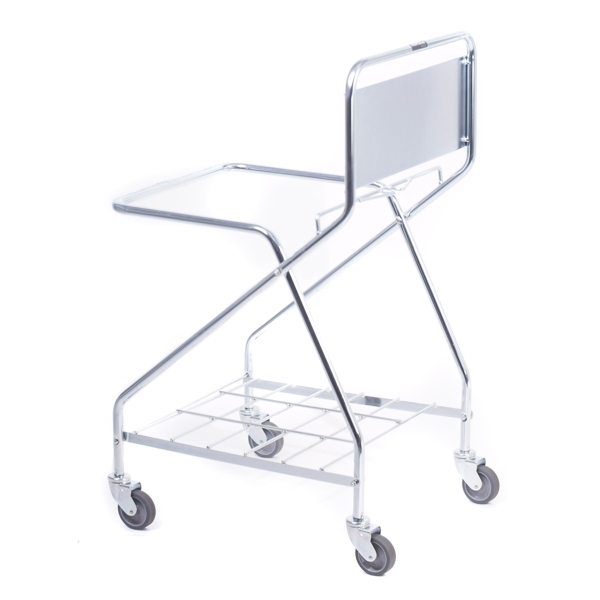 Our smart patented solution which we have also in most of our cleaning trolleys. This is our double sack trolley with our unique sack holder mechanism for either 120 liter or 150 liter bags. 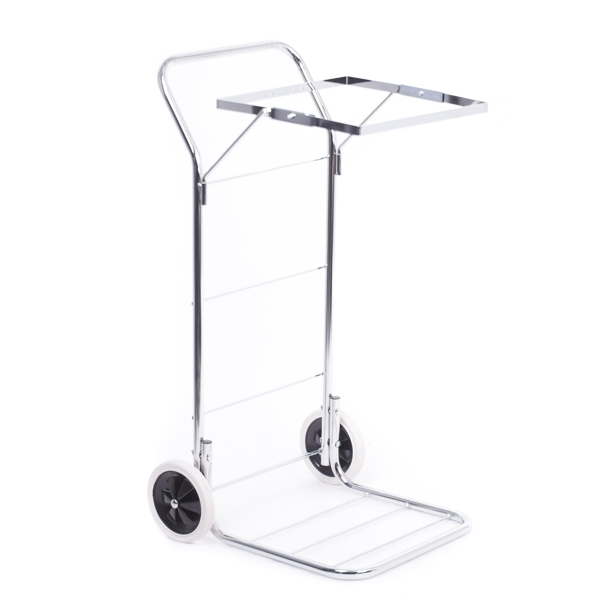 This trolley is sold mainly to hospitals for linen collection but can be used in other industries where uniforms, dress ware and linens are worn. It is easy to clean and therefore suitable for hygienic areas. It has 4x100mm wheels making it easy to maneuver. A powder coated metal lid is also available for use with this product. This is our sack trolley with the unique sack holder mechanism. It is adjustable for either 120 liter or 150 liter bags. It has 2 large 125mm wheels for easy maneuverability. A powder coated metal lid is also available for use with this product. This is our very first solution for paper recycling in offices. This model can be used with either 2 or 3 boxes which are made from recycled cardboard. When using only 2 boxes a plastic bag can be used instead of the 3rd box. 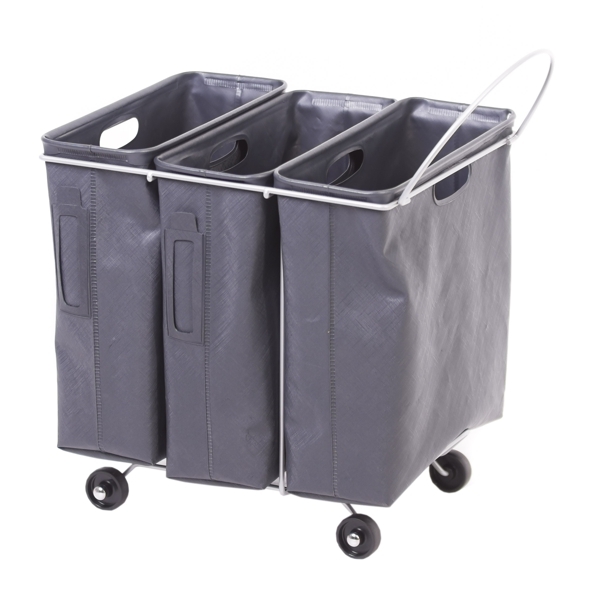 This is our stylish waste paper collection trolley with 3 separate waterproof units. 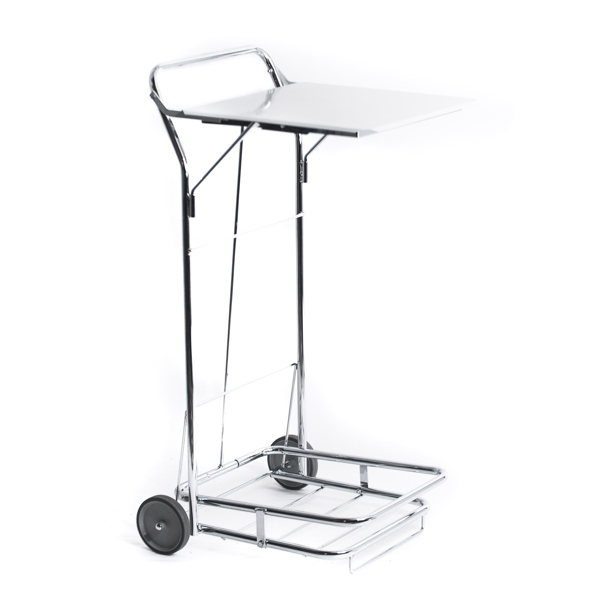 Its 4 wheels allows you to maneuver it around your workspace and is easily moved to facilitate cleaning. Sort your waste: paper, plastic and bio-waste into this R-Eco. 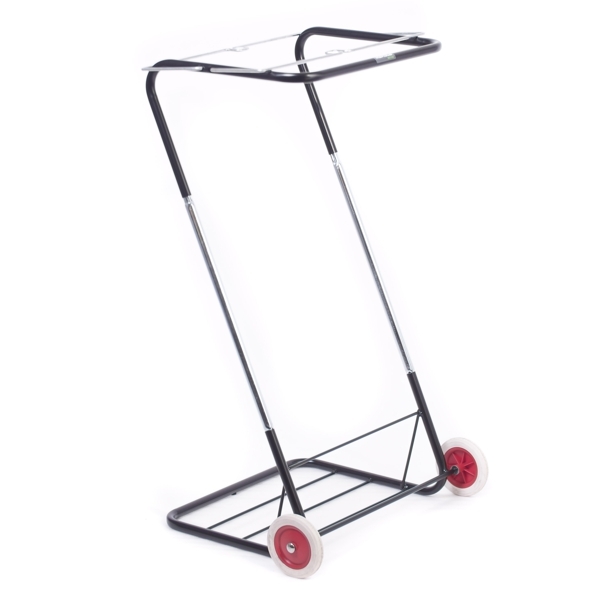 This trolley model has been developed together with waste management companies. It needed to be extremely strong and very easy to move around. 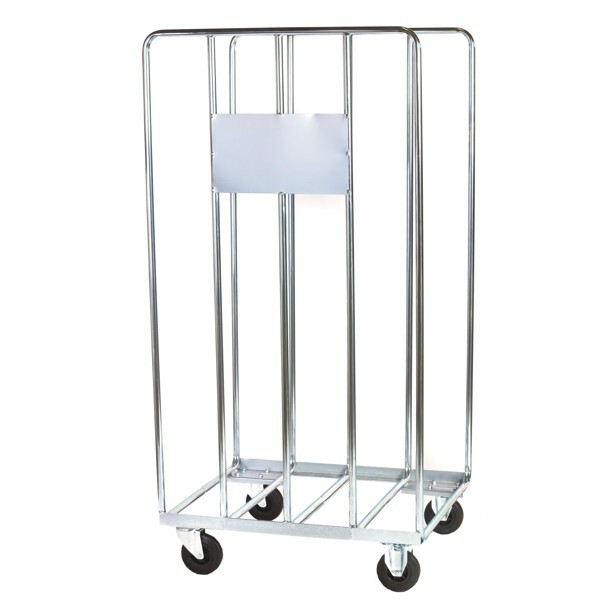 Based on the requirements we made the trolley with extra strong 2mm thick tube. Wheels have been selected also to fit its purpose; narrow and strong rubber material. We also made the product from two parts which means that if it wear out then only that side needs to be changed which has been wearing out. As this product will mainly stand outside and it will also face hard usage zinc coating was then the best option for it. Even this is a simple looking product we have put thoughts behind it for those who has to move them around day after day.